The Arcadia Invitational takes place in the beautiful City of Arcadia on the ground of the Arcadia High School. Like Los Angeles is the city of Angels, Arcadia is the City of the Peacock. While many residents might like to see the peacock disappear, the peacock is part of Arcadia and will stay with Arcadia. 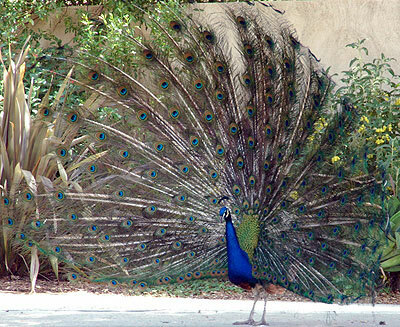 The peacock was introduced to Arcadia by the daughter of the famous Santa Anita Rancher, E. J. "Lucky Baldwin." Since that time the peacock has settled and mutiplied in Arcadia to the dismay of many residents. You'll find them casually parading around the Arboretum including the parking lot. While they look beautiful and graceful, I'm told they are mean, often beg for food and may bit. So travel at your own risk around a peacock. Here is one of the Arboretum peacock's in full display. Evidence of how much the peacock is part of Arcadia can be seen all over town. 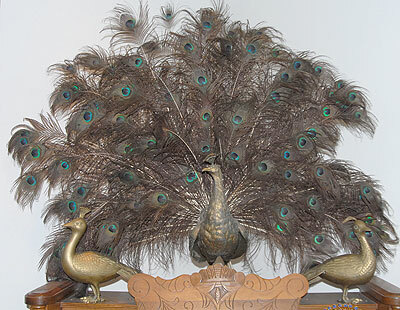 This is a peacock statue that sat on a table in a well-to-do foyer for many years, until the owner downsized to smaller quarters. Now it sits on a table in the museum. At the feet of the large peacock are two smaller peacock statues that were donated to the museum. 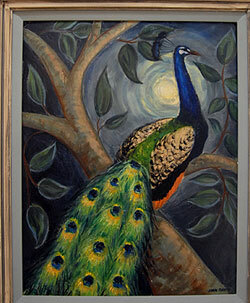 This is an oil by C. Joan Davis and is part of the museum's collection. 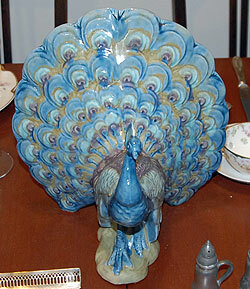 This beautiful peacock sat once as a centerpiece on fancy tales. Now it is part of the museum collection. The peacock image graces city light posts and signage. Once again we find the peacock. This time it is the center piece of this city fountain. There is more to see and do in Arcadia beside peacocks. 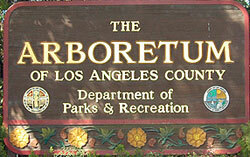 For example, there is the LA Arboretum with the georgous gardens, plants, flowers, peacocks. 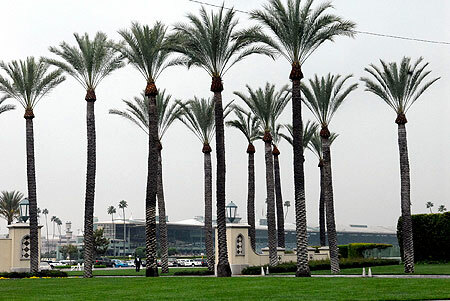 There is also the Santa Anita Race Track. Here, you can enjoy the races, gardens and horses. 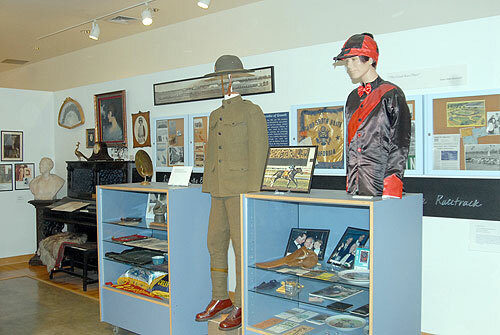 Then, you can make a visit to the Ruth and Charles Gilb Arcadia Historical Museum. 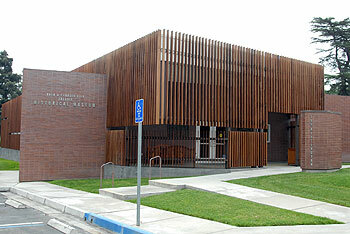 Another of the Arcadia sights is the Ruth and Charles Gilb Arcadia Historical Museum. 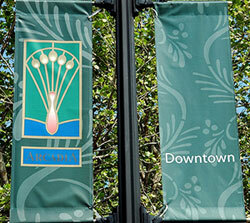 Here you will find the history of Arcadia including the lives of its citizens. 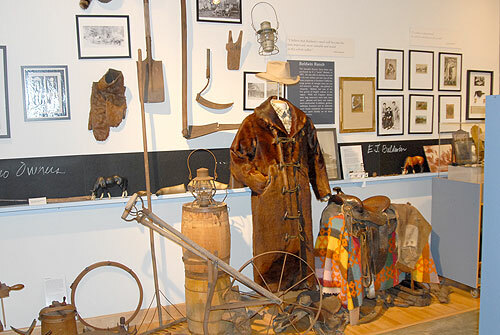 The museum is a small and quaint collection of facts, artifacts, clothing, photos and more. 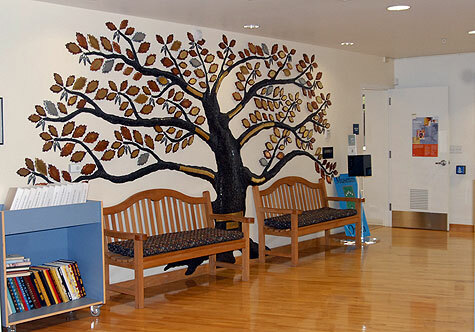 The staff will guide you through the years and displays. I was interested in learing about the history of the Arcadia High School. While the museum didn't have high school memoriabilia, it did have a book entitled "Arcadia: Where Ranch and City Meet by Pat McAdam and and Sandy Snider that had a few pictures. All of these pictures are presented with permission of the Ruth and Charles Gilb Arcadia Historical Museum. 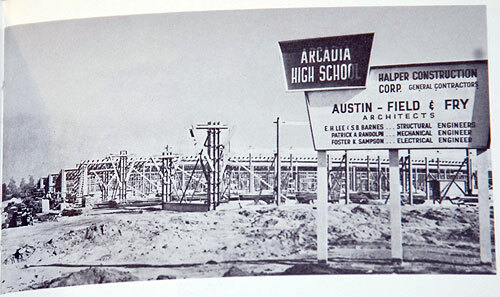 Arcadia High School under construction in 1952. 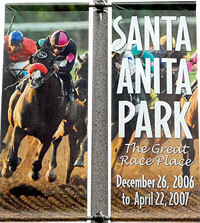 There is a nice display telling the story of the Santa Anita Race Track. And, you'll fina a display showing the impact and influence of ranchers in Arcadia history. It tells a little about the impact of E.J. "Lucky Baldwin". Lucky Baldwin bought the Rancho Santa Anita and developed it into valuable farms and gardens. 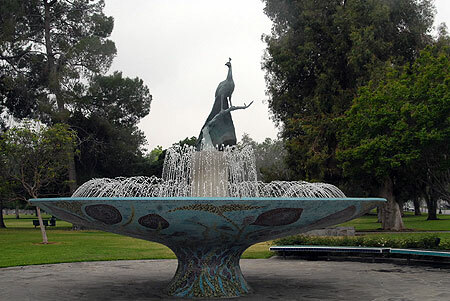 The ranch eventually evolved in the City of Arcadia, Santa Anita Race Track, and the LA Arboretum of Los Angeles County.